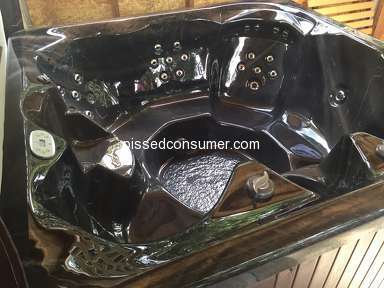 Master Spas - Great hot tub! Sep 27, 2018 Hi Dave. First off, let me just say that we’re so glad that you enjoy your Master Spa, and we’re pleased to hear that your dealings with our customer service team have been positive. Regarding the shipping costs, our warranty is clear that we don’t cover those costs. We hope you will enjoy your new spa and get years of enjoyment out of it. Thank you for your honest feedback – we appreciate it! Have a master spa and love it! It’s been 3 years and haven’t had a single problem! Till now . The clear was peeling and I called them. Customer service has always been great and they agreed to replace the tub with a new one . The warranty is the only issue I have. The product was addmitted to being faulty but the still want me to pay around 800 for shipping! I don’t think a costumer should be responsible for a defect! Other than that the tub has been great . Review #1356997 is a subjective opinion of Sofio.